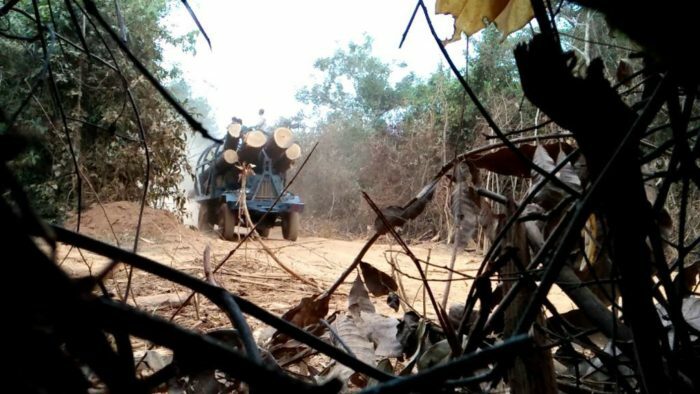 In the remote and supposedly protected Tanjung Putting National Park, in Kalimantan, our investigators – working with activists from the Indonesian NGO Telapak – found previously pristine rainforest in a state of violent chaos, effectively under siege from logging gangs targeting valuable ramin trees. Working from the ground up, we pieced together the evidence to discover who was behind the huge theft and found it pointed to the then little-known illegal logging kingpin Abdul Rasyid and his company Tanjung Lingga. EIA’s investigators were able to visit one of the company’s huge sawmills and capture covert footage of illegal ramin logs being processed. The results of that investigation formed the basis of our first illegal logging report, The Final Cut, which we and Telapak released in August 1999 at a packed Jakarta press conference. The report was the initial step in what would become a struggle lasting to this day to curb the devastation of what is arguably Indonesia’s greatest natural treasure, its rainforests. If we had any doubts as to the nature and potential dangers of this work, they were brutally underlined in early 2000 when investigator Faith Doherty – now our Forests Campaigns Leader – and a colleague from Telapak were kidnapped and violently assaulted by Rasyid’s thugs while on a follow-up trip to Tanjung Lingga to obtain new evidence and assess the impact of The Final Cut. “As the gun slammed down on the table and I heard the chilling words ‘I can shoot you now and I may go to prison but I will still be alive, but you, you will be dead’, I realised we were in serious trouble,” recalls Faith. Eventually the pair were safely extracted from the situation and, despite their ordeal, used an opportunity with a newly elected Indonesian Government and international donors meeting to put the issue of illegal logging and forest governance high on the agenda. We and Telapak continued over the next few years to investigate illegal logging and used every opportunity to pressure the Indonesian Government to act, resulting in a series of official crackdowns. Together with the Government and using the only regulatory process available at the time, we turned to the Convention on International Trade in Endangered Species (CITES) and worked to have ramin trade regulated. By the early 2000s, while our ground-breaking investigations continued to expose the scale of illegal logging it was clear by now that existing regulations to tackle this environmental crime were just not good enough. So we began pushing for cross-border mechanisms to stem the flow of stolen wood, with the responsibility of consumer countries as a key aspect. An EU initiative, the Forest Law Enforcement Governance and Trade (FLEGT), was created to address trade and governance issues. Aiming to reduce illegal logging, improve governance and promote the trade in legally produced timber, FLEGT includes more than just one ministry and one country to address what is essentially international crime. It is under FLEGT that the European Union Timber Regulation (EUTR) was created and through FLEGT that the issue is addressed from both ends of producer and consuming countries. As so often in our investigations, leads in one case pointed to other crimes and our field investigations found neighbouring Malaysia and Singapore were laundering timber stolen from Indonesia for sale on to the international market. When we exposed it in 2002, our findings compelled the Malaysian Government to reciprocate Indonesia’s log export ban with a log import ban. 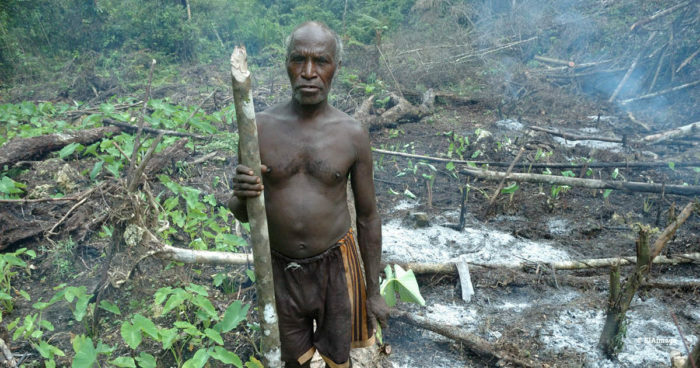 A tip-off next sent our investigation team to the remote home of the Knasaimos people in the province of West Papua, where we found a community intimidated by the theft of valuable merbau trees from its lands, orchestrated by a powerful military officer. Over the next year, we tracked the stolen merbau to Shanghai, China, in late 2004 where we discovered about 300,000m3 (enough to fill the Royal Albert Hall three times over) was being smuggled out of West Papua every month in a criminal operation worth a billion dollars a year and run by a well-organised international smuggling syndicate, backed by corrupt police and military. If the scale of the crime was startling, so was the response to our report The Last Frontier in 2005 – the very next day, Indonesian President Susilo Bambang Yudhoyono acted and, shortly after, 1,500 enforcement officers were sent into West Papua, driving the loggers off the Knasaimos lands and spurring the corrupt military officer to flee for fear of arrest. As well as our hallmark on-the-ground investigations, our Forests campaigners have played a major role in helping to reform and frame legislation to safeguard the world’s remaining forests. One of the first tangible outcomes of this came in 2008 when the US Government amended The Lacey Act to make it an offence to import or sell illegally logged timber. In 2013 the EUTR came into force, aimed at closing the market to illegal timber, and similar legislation has been enacted in other countries such as Australia. 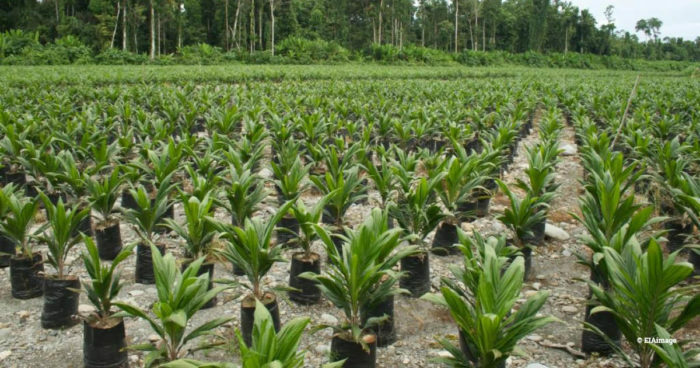 In the late 2000s, we began to document the loss of South-East Asia’s forests due to a newer threat – the conversion of land to make way for cash crops such as palm oil. Driven by demand for palm oil as a cheap ingredient in thousands of everyday foodstuffs and also by anticipated demand for its use as a biofuel, the result was all too often small forest communities intimidated or tricked into signing over their lands to aggressive business interests with complete disdain for customary rights or the fact that such forestland was often vital habitat for endangered orangutans. As well as exposing case after case of illegality and abuse in the sector, our Forests campaigners have sought to pressure the problematic Roundtable on Sustainable Palm Oil to reform and significantly improve the standards to which it holds members – all too often the RSPO has certified as ‘sustainable’ oil palm operations linked to deforestation, human rights abuses, forced labour and child labour. 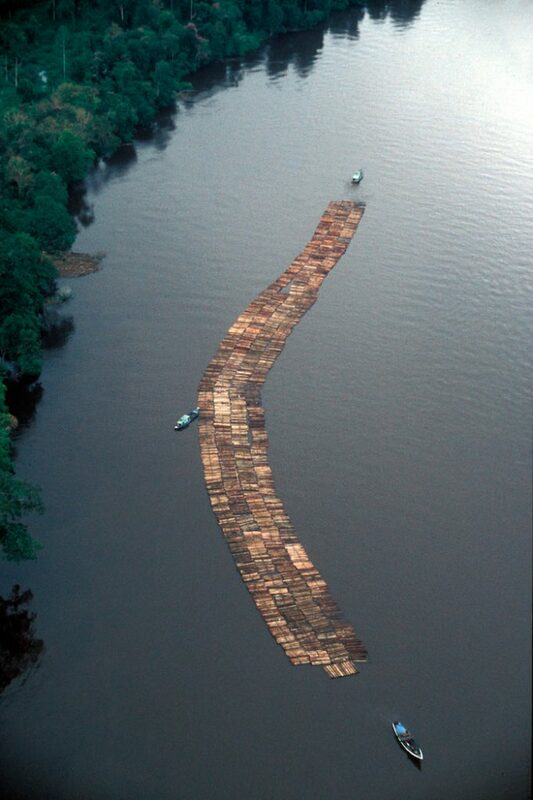 In 2008, we released Borderlines, the first of a series of reports chronicling Vietnam’s involvement in the theft of precious timbers from neighbouring countries, particularly Laos and Cambodia, the most recent of which, Serial Offender, was released only this summer. In October 2018, after years of working to address Vietnam’s huge imports of illegally sourced timber, the EU and Vietnam signed a FLEGT Voluntary Partnership Agreement (VPA). With this commitment, Vietnam will be working to develop credible systems to ensure that both imports and exports of timber and wood products come from legal sources. In one timber crime case after another we have investigated, the ultimate destination has often been found to be China’s voracious furniture industry and in late 2012 we released the landmark report Appetite for Destruction, revealing China to be the single largest international consumer of illegal timber, importing wood stolen by organised criminal syndicates on a massive scale. Never a campaign to rest on its laurels, Forests released yet another watershed report in 2015, Organised Chaos, exposing the key actors and systemic corruption which drive and facilitate a huge trade in stolen timber from a newly post-sanctions Myanmar to China, another chaotic and lawless situation in which shady Chinese businesses were paying in gold bars for the rights to log entire mountains. 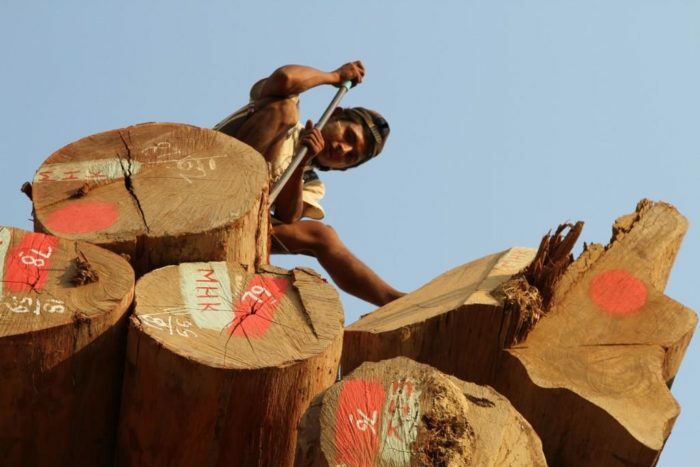 We’ve kept our attention on Myanmar ever since, with a particular emphasis on pressing for reform of the State-run Myanmar Timber Enterprise, whose opaque practices prevent any timber exported from the country from meeting the requirements of the EUTR, especially with regard to teak exports for the luxury yachting sector in the West. With an ever-growing world population and consumer demand, it seems that as long as there are forests there will be forest crime – but as long as there is forest crime, EIA will be there to push back and fight it every inch of the way.